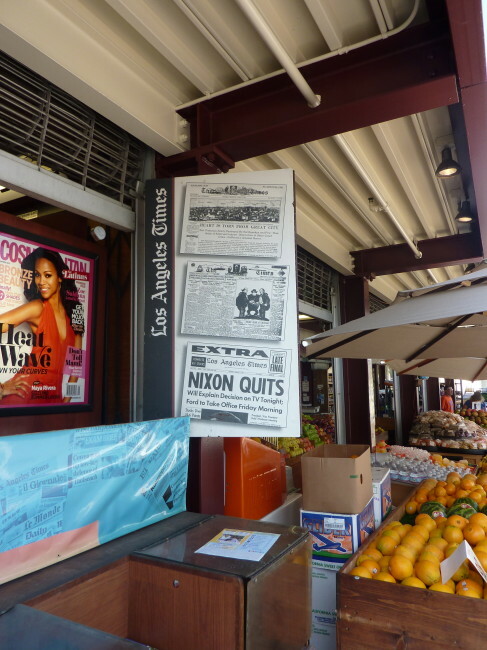 It was always a special Sunday morning as a kid when my parents would say, “Let’s go to the Farmers Market.” We would hop in the car and take the 40-minute drive to Third and Fairfax in Los Angeles, where an array of walkways with little shops selling everything from fresh fruits and vegetables to touristy trinkets awaited us. My first job after finishing college was at an advertising agency that was located two blocks from the Farmers Market. 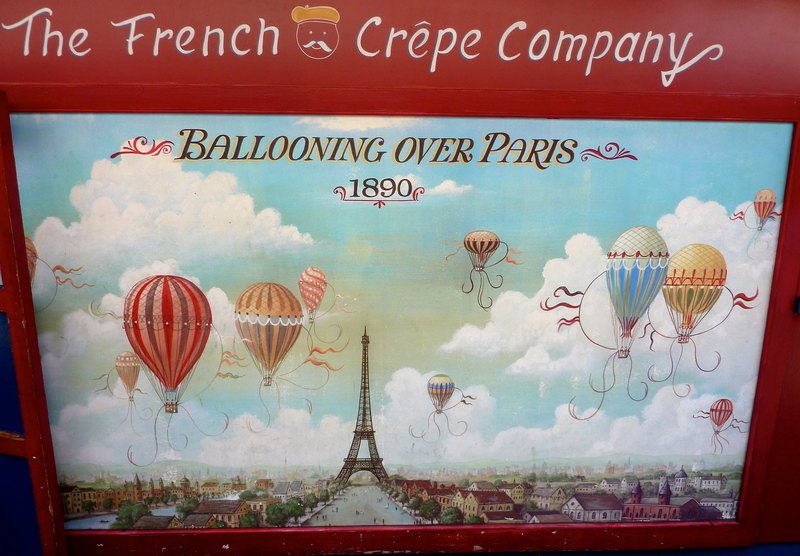 I would eat at one of their restaurants (including the famed, yet overrated Du-Pars…more on them later) two or three times a week back in 1975 and 1976. It had been quite some time since Tracy and I had visited, so on a sunny Saturday morning, we decided to recreate my childhood (without all the screaming and yelling) and see how the old place looked. As we pulled in to the parking lot, the large Farmers Market Clock Tower welcomed us. 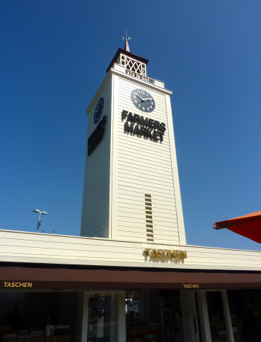 The Farmers Market Clock Tower was built in 1952 (a great year). 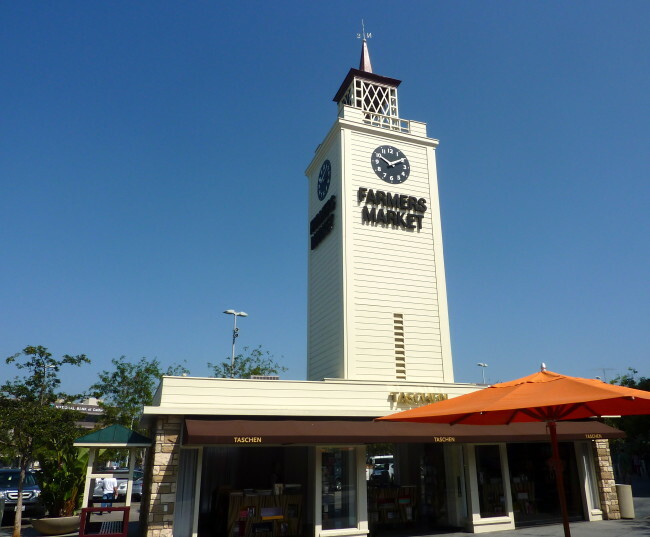 When The Grove at Farmers Market was constructed, and the Market added the Plaza and North Market, the clock tower was dismantled (carefully). 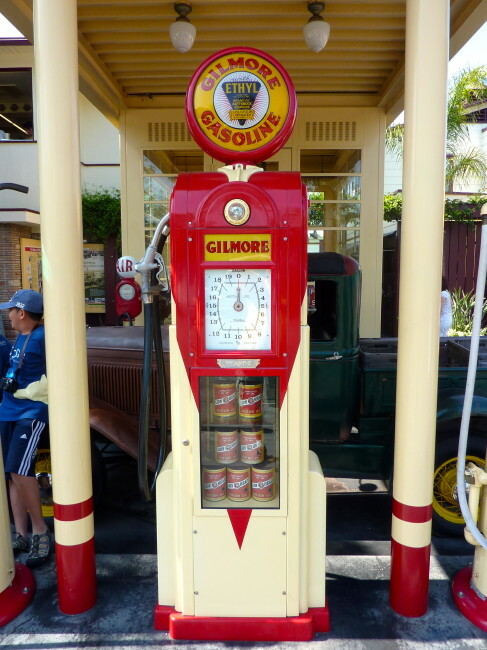 It was fully restored and put back up in 2002 complete with brand new clock works. A time capsule was put in the stone base. 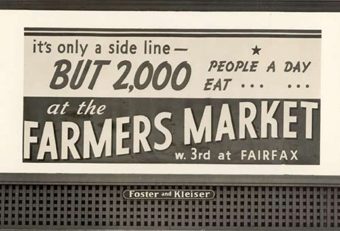 Here is a little more history from the Farmers Market website: “In July 1934 a contingent of farmers pulled their trucks onto an expanse of empty land at the property known as Gilmore Island at the corner of Third and Fairfax in Los Angeles. 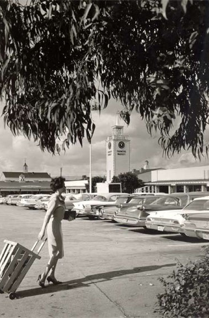 They displayed their produce on the tailgates of their vehicles, to their delight, customers quickly arrived and parked their cars on a hastily created dirt parking lot in spaces designated with chalk. They strolled among the trucks purchasing fruit, vegetables and flowers. 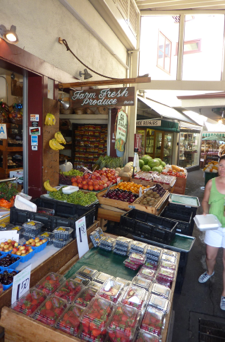 “The atmosphere was casual, the open air commerce enticing, the goods fresh, and the result remarkable. 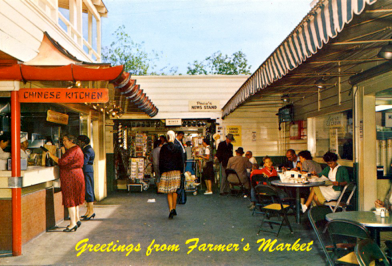 Farmers Market became an instant institution. 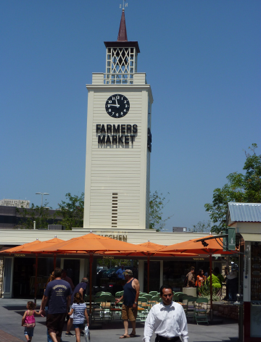 The Grove at Farmers Market opened up in 2002, and is a retail and entertainment complex located adjacent to the historic Farmers Market. 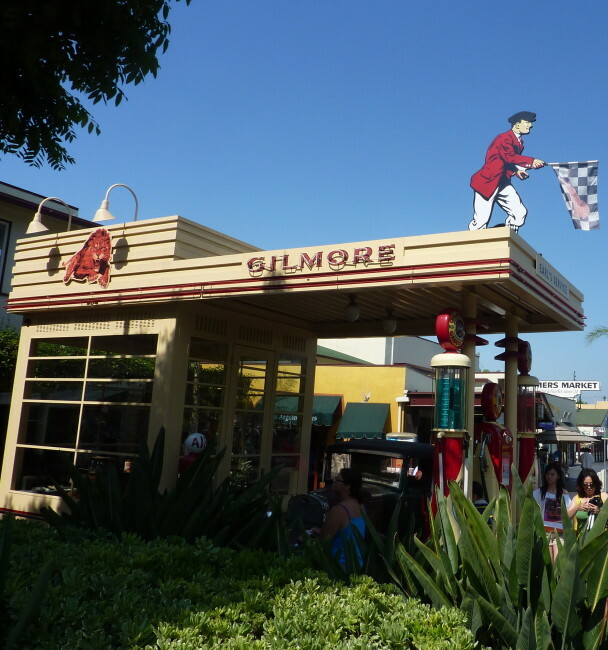 If you want to visit The Grove after you go to the Farmers Market, it is a short walk, or if you’re pooped, you can take the free electric-powered streetcar (aka a trolley). 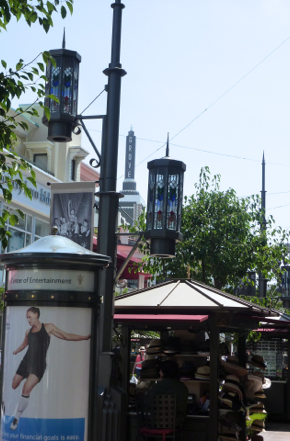 There are lots of shops and restaurants a The Grove. 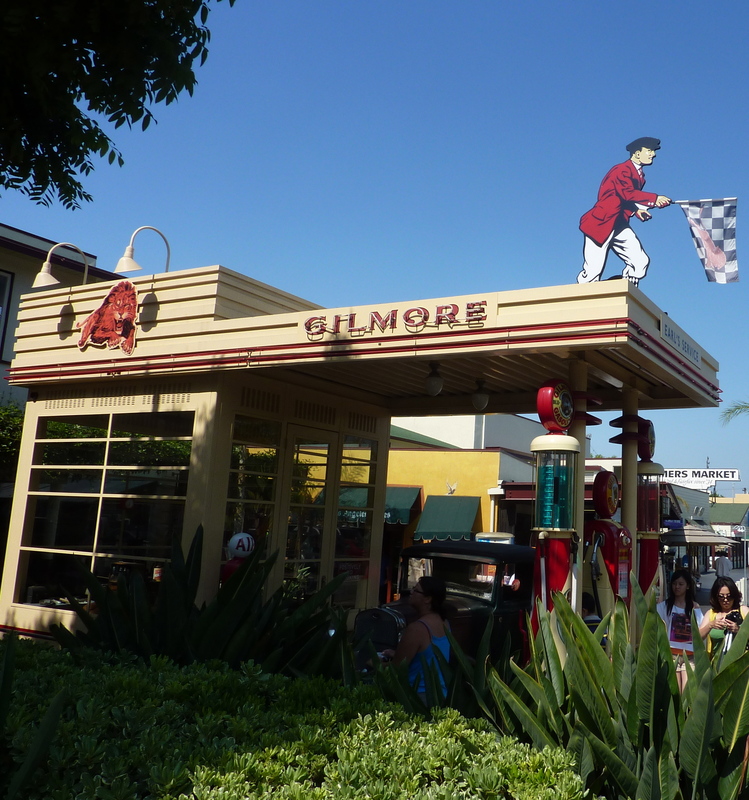 The trolley is owned and operated by The Grove. 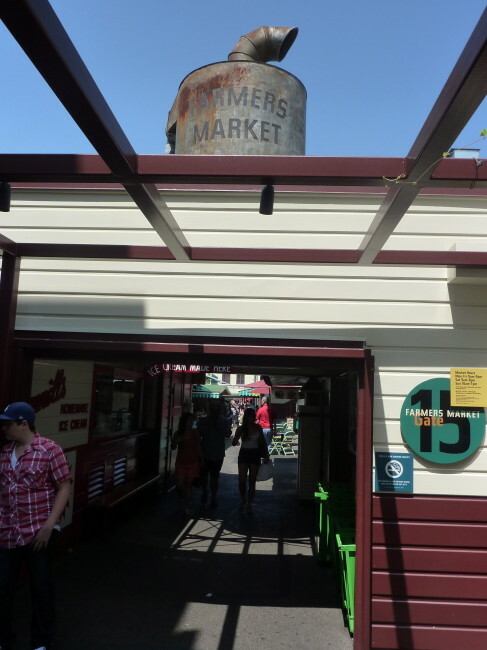 It will pick you up in the Farmers Market Plaza and drive you down First Street to the heart of The Grove where you can spend more money. When your wallet is empty, the trolley will take you right back to the Farmers Market Plaza. 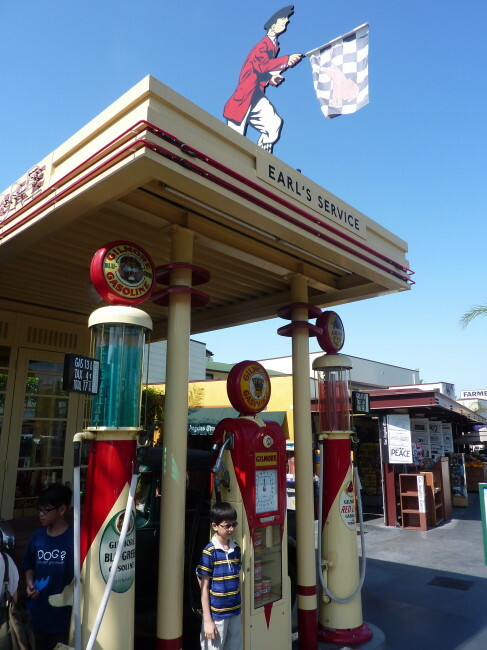 As we walked from the clock tower, the first thing that stood out was a vintage gas station. 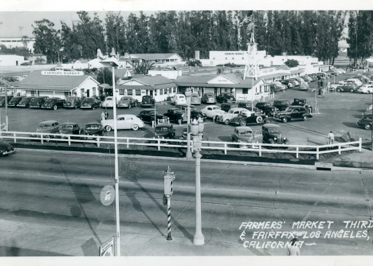 It seems that back in the old days before it was The Farmers Market, Arthur Fremont Gilmore ran a dairy farm here. Just like Jed Clampett, Gilmore struck oil at some point and he opened the country’s first self-serve gas station here at 3rd & Fairfax. He called it a “Gas-a-teria.” This replica gas station at The Farmers Market commemorates that event. 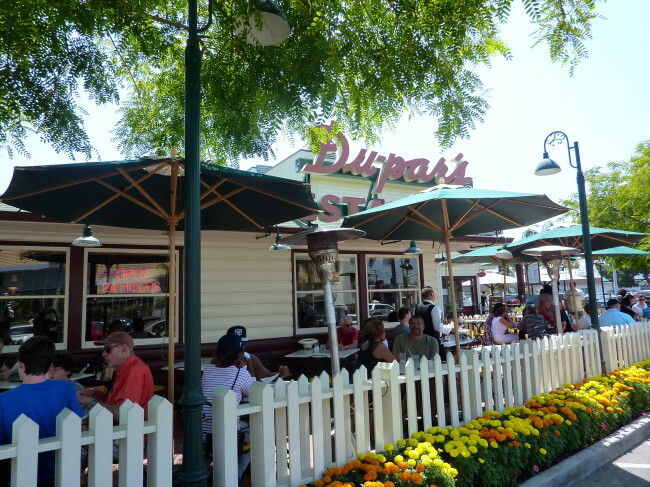 Speaking of “Gas-a-teria,” it was time for breakfast and, although I have never been a fan of this place, we decided to try the famed Du-Pars for breakfast. As usual, it lived down to all our expectations. 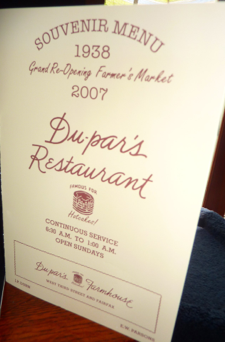 Du-Pars has been here as long as I remember, and if you go to the Farmers Market, I highly recommend you find somewhere else to eat. Outside of bad food and pretty terrible service the meal was fine. 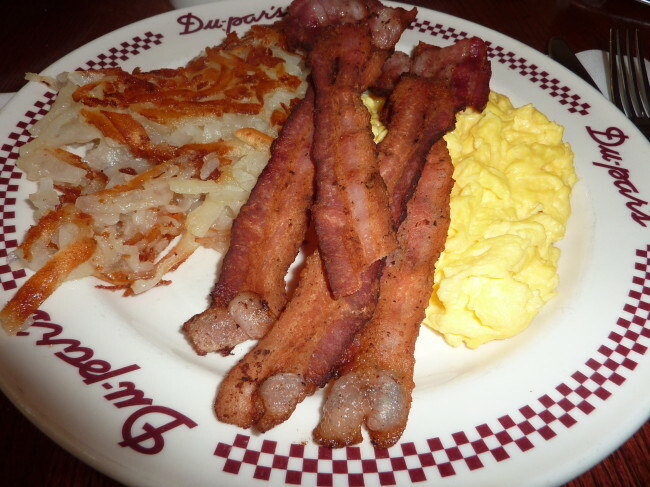 The eggs were inedible, the toast was not toasted and the bacon was severely undercooked (a true triple threat). 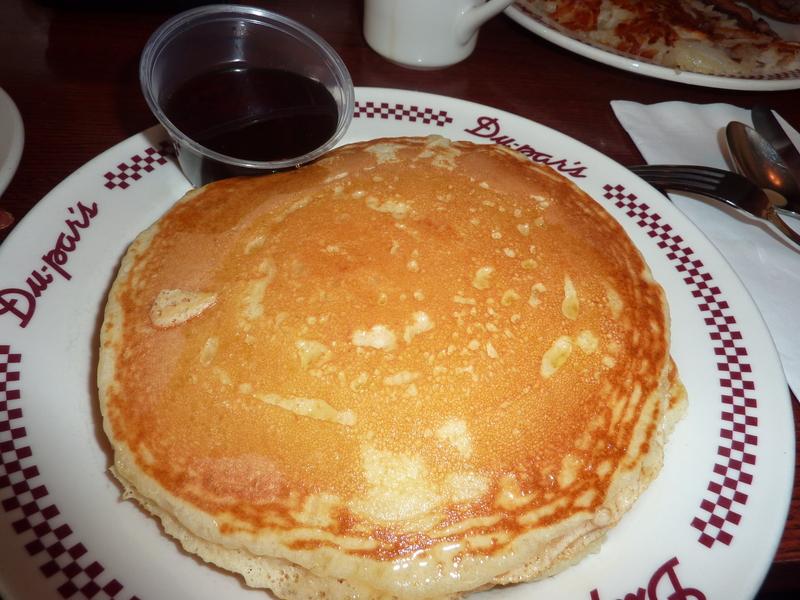 My pancakes were fine, but did not live up to their boast of the “best pancakes on earth” or “best pancakes in the world” or whatever their over-hyped slogan was. They should stop by my house some day and they might rethink that motto. 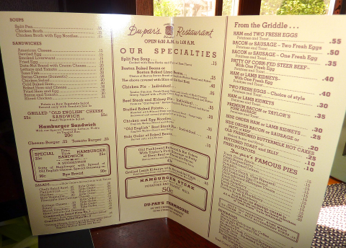 On the plus side, you do receive a free souvenir menu that harkens back to the days when bacon & eggs cost 50 cents and pancakes were 40 cents. 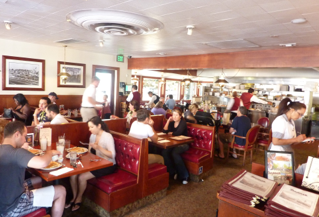 Come to think of it, that’s exactly what our breakfast was worth. 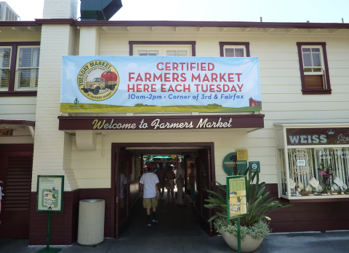 Back outside, we toured the Farmers Market for about 1/2 an hour. 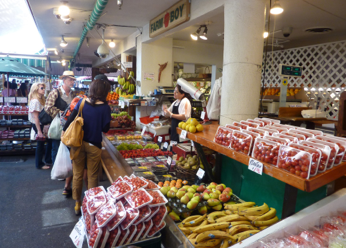 Of course, there are produce stands selling you fruits and veggies from A – Z. 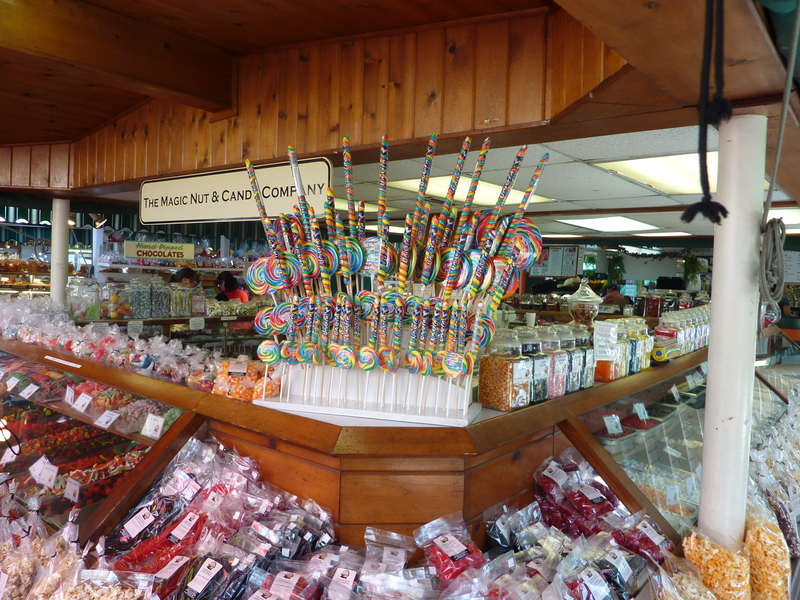 If fresh produce isn’t your thing, go for the sweet tooth and stop by one of the candy stores. 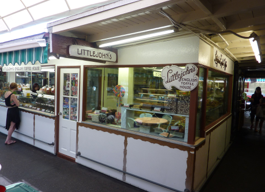 Perhaps you can buy a little taffy to pull some of your fillings out. If you do want to eat while at the market, there are a couple of places I have eaten that were relatively good (of course, next to Du-Pars, everything is relatively good). The French Crépe Company was very busy, and I have had some nicely done meals there. 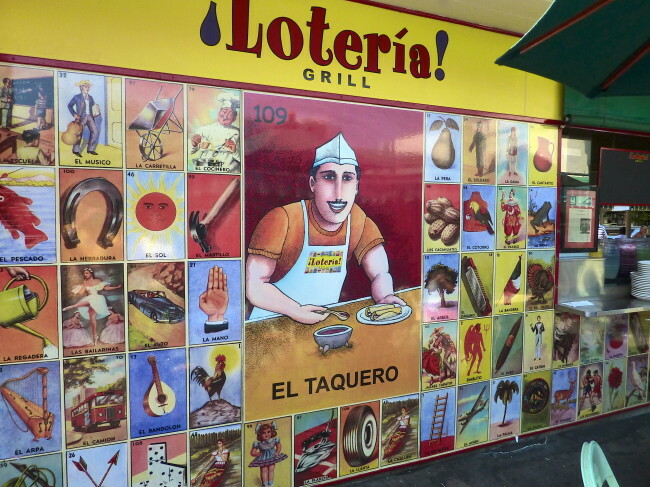 For Mexican food, I have gone to Lotería on a couple of occasions, and it delivered the goods. One store I always stop by is Light My Fire. Although no sign of Jim Morrison can be found, you can go through the Doors to a place that has hundreds of hot sauces from around the world. 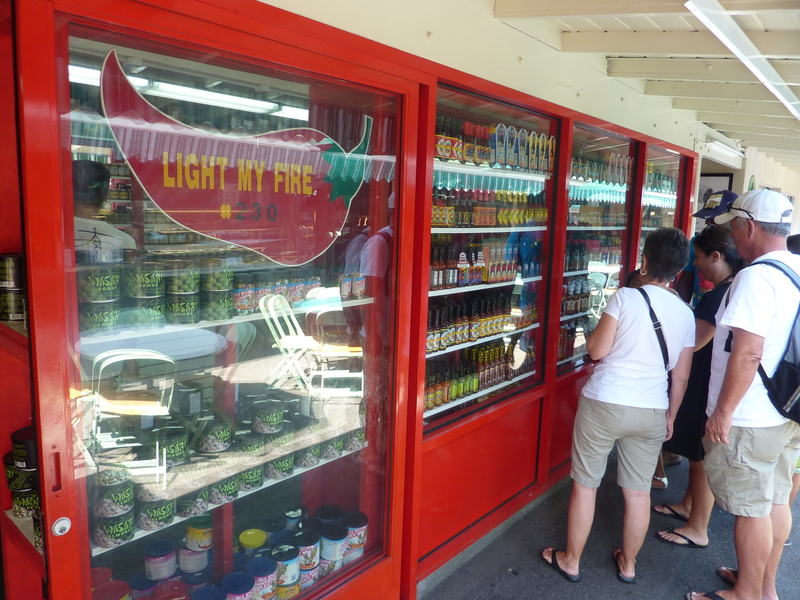 Yes, you can Break On Through To The Other Side of hot sauces. I told you I was in advertising once, right? 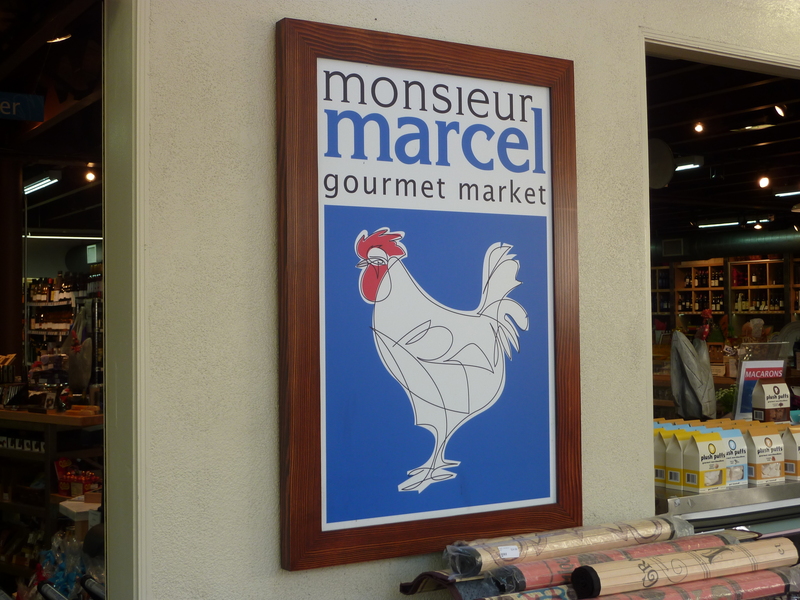 Monsieur Marcel is not only a French restaurant that I would like to try at The Farmers Market, but they also have a French store selling all things French. They have “a magnificent deli counter offering cheeses and cold cuts from around the world, and a wine cellar which is as international as it is large.” I took them at their word. 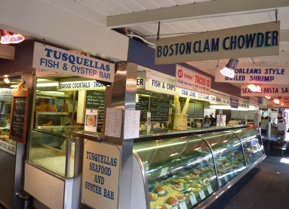 There are places to buy fresh meat and fresh fish. 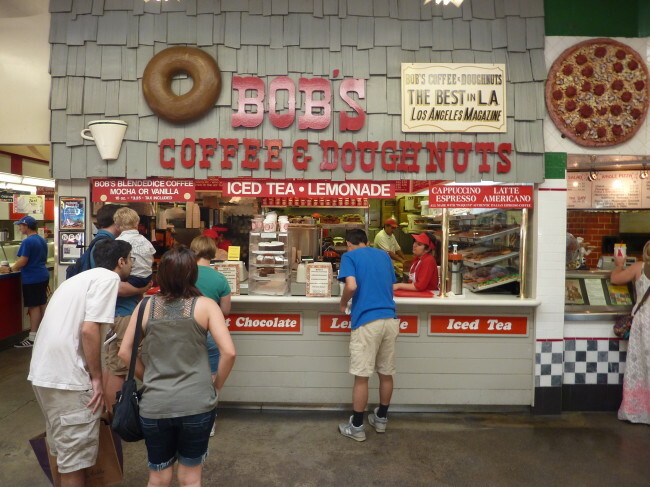 If I wasn’t already loaded down with “the best pancakes in the immediate 200 yards,” I would have stopped by my favorite stomping ground at The Farmers Market, Bob’s Coffee & Doughnuts. Sure, they’re a million calories, but Angina never tasted better. There’s also a great spot to have some ice cream that is located right near Bob’s, so you can just make it a Heart Attack Double-Header by combining a delicious Maple Bar with home-made Peach Ice Cream. Damn, what a way to go!!! 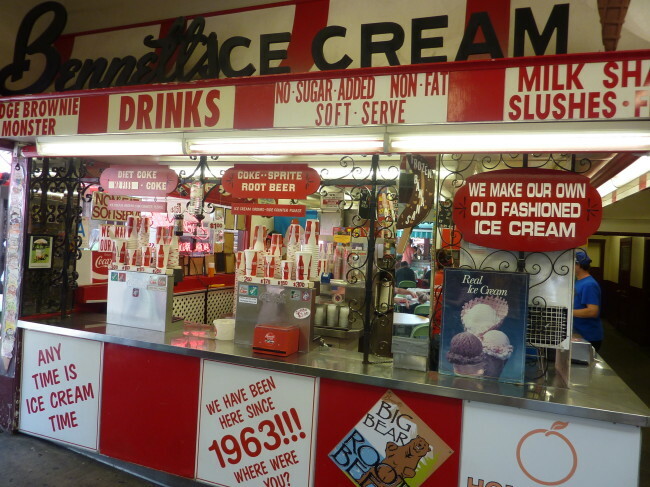 Scott Bennett and his staff make their own ice cream from fresh ingredients. They mix it right there in front of your very eyes (you can watch your arteries harden through Bennett’s kitchen window). Another good ice cream place is located on the other end of the market. 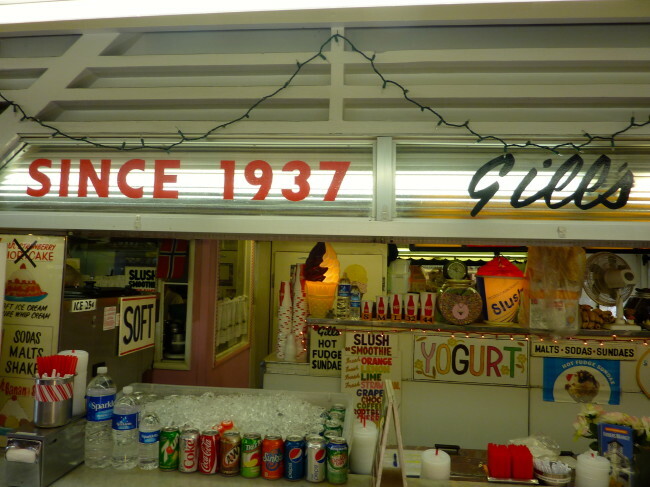 Gill’s is another of the venerable shops that have been here seemingly forever (or as the sign says…1937). I’m sure on a quiet Saturday or Sunday, Tracy and I will return again. One thing is for certain, however, Du-Pars will not be part of our visit. Hours: Monday – Friday 9:00 a.m. – 9:00 p.m.